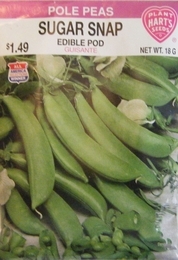 Pole peas require support using string, netting, trellis or fence. To save space, plant in 2 rows 6 inches apart with support between them. Make successive plantings every 3 weeks for continuous harvest.